Argentina’s President Cristina Fernandez de Kirchner has received medical clearance from doctors to return to work. A month ago Cristina Fernandez de Kirchner underwent surgery to remove a brain clot on her brain. A government spokesman, Alfredo Scoccimarro, said the results from scans the president had on Friday had been satisfactory. Cristina Fernandez de Kirchner, 60, is expected to resume her official duties on Monday. “On Monday there will be a medical re-evaluation to determine the pace at which she can resume her daily tasks,” said Alfredo Scoccimarro. Cristina Fernandez de Kirchner won’t be allowed to fly for at least another 30 days, and she’ll undergo further tests on December 9. The Argentine president had surgery on October 8 to remove blood that had pooled on the surface of her brain after she fell and knocked her head. 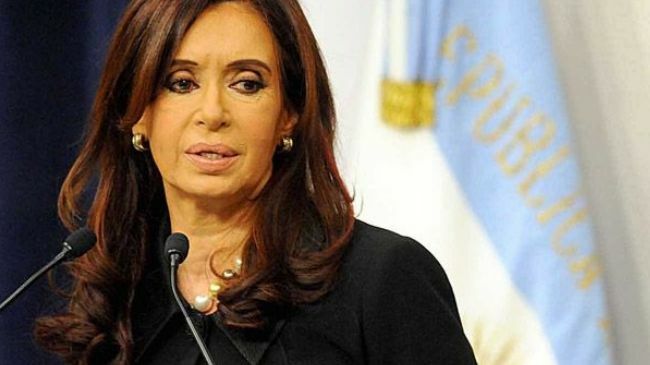 While Cristina Fernandez de Kirchner has been receiving treatment, her allies have suffered heavy losses in mid-term elections that reduced her majority in congress, ending any speculation that she may try to amend the constitution to allow her to run for a third term in office. Cristina Fernandez de Kirchner is due to leave office in two years time.